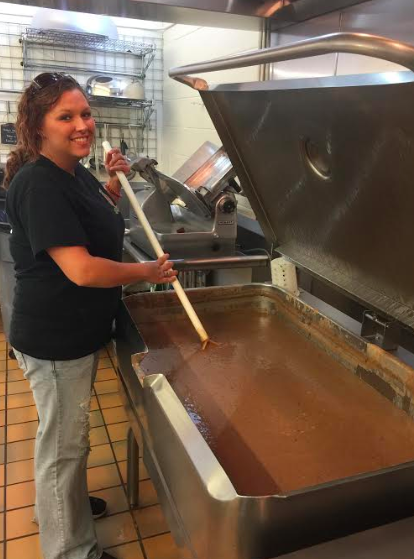 “Chocolate Gravy” is not exclusive to Appalachian cooking, but it is commonly associated with Southern Cooking. It is typically served over hot biscuits, some people would have this often, for others, only on special occasions. While it does have a good bit of white sugar, it doesn’t have as much fat as we usually associate with gravy. This recipe calls for 1 Tablespoon of butter at the end of the cooking process. Whisk the cocoa, flour, and sugar together in a bowl until there are no lumps. Pour the milk into the mixture and whisk until well incorporated. Transfer the mixture to a saucepan and cook over medium heat, stirring frequently, until its consistency is similar to gravy, 7 to 10 minutes. Remove from heat and stir the butter and vanilla into the mixture until the butter is melted. Serve immediately. Amy’s chocolate gravy on a biscuit! “The Highway Drive In” or “The Dip Dog Stand” on Route 11 between Chilhowee and Marian Virginia Photo by Fred Sauceman. Fred Sauceman pictured in “The Highway Drive In” or “The Dip Dog Stand” on Route 11 between Chilhowee and Marian Virginia. Photo from Fred Sauceman. Dip Dogs served at “The Highway Drive In” or “The Dip Dog Stand” on Route 11 between Chilhowee and Marian Virginia. Photo from Fred Sauceman. Clint Smith of the Riverdale Community in East Knox County, Tennessee holding a bottle of his small batch, Maple Syrup. Clint Smith’s home-made “reduction units” that he uses to boil down his maple syrup. Metal racks Clint Smith welded and fabricated for J.C. Holdway restaurant in Knoxville, Tennessee. Clint Smith’s coffee table he made of barn wood and welded steel. Kitchen table made by Clint Smith from barn wood and welded steel. 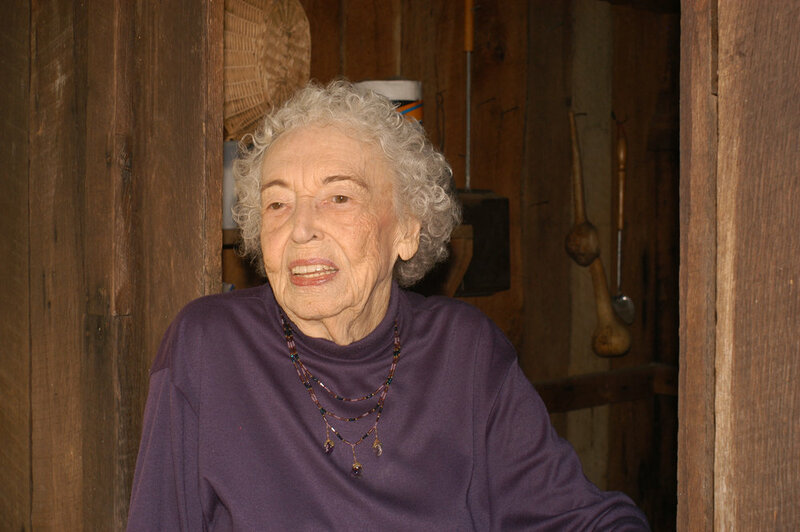 The late Minnie Curtis who’s recipe for Red Bud Jelly is shared by Fred Sauceman in this episode of The Tennessee Farm Table. Photo from Fred Sauceman. 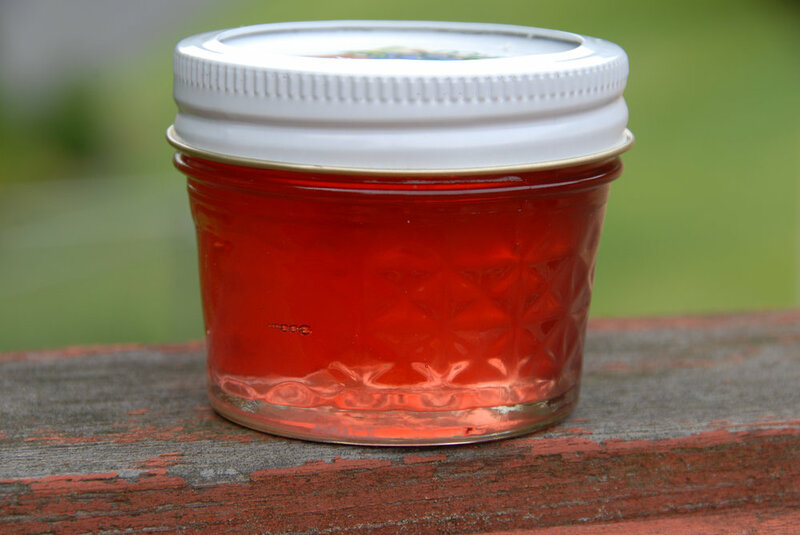 Red bud jelly - Photo from Fred Sauceman. Ronni Lundy "Messes with Springtime Greens"
John Coykendall, photo by Ashley Valentine-Coykendall. Some seed packs with John’s writing. 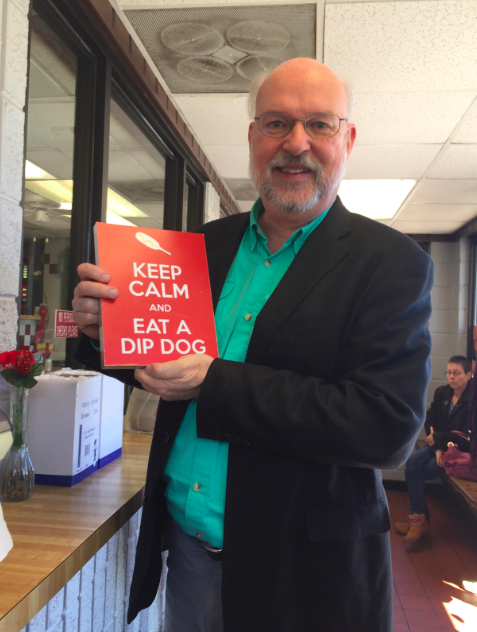 - Fred Sauceman shares a “Pot Luck Radio” segment featuring Frederick Pal Barger - the man who created “Pal’s Sudden Service” restaurants in North East Tennessee and South West Virginia. Frederick Pal Barger started this chain of restaurants in 1956. Jonny Buchanen, Farmer and owner of Crooked Road Farms, South Knox County, Tennessee. Photo by way of Amy Campbell. 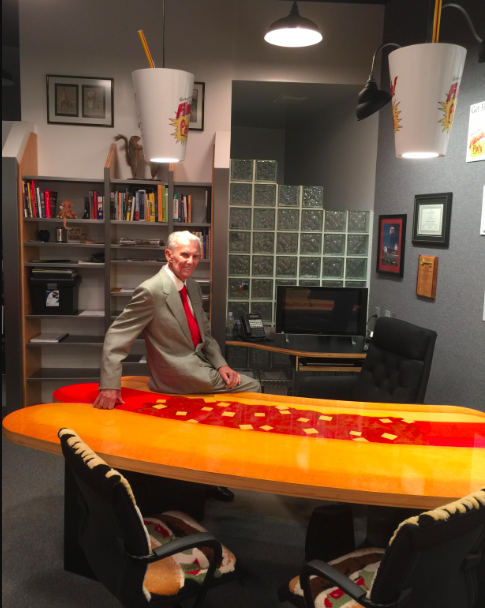 Pal Barger at his desk at Pal’s World Headquarters in Kingsport, TN. Photo by way of Fred Sauceman. -Spent grain pick up: Looking for a farm or beef operation that feeds grain to pick up 250 Lbs. 2 x a week of spent corn used in the distilling process from Jefferson County, TN. If you can use this resource for organic material for your operation, please email me (Amy) through this website under (contact us) and I will put you in touch with the person. The Bales family at home. Pictured are Aliceson Bales' Grandparents. "Billy Ann King"(Aliceson's Grandmother), provider of this "Apple Cake" family recipe that Aliceson Bales shares on the podcast. Sorry this picture of the picture is not better. Here is the recipe below. Traditional Good Luck, New Year Foods from 3 cultures - Appalachian, Asia, and Greece. Bring pasta to a boil and add collards to boiling water and leave in there until pasta is cooked. In a large, separate pan, saute mushrooms in a little bit of olive oil and soy sauce. Add drained pasta and collards to the pan with the mushrooms. Sprinkle with Sesame Oil, Sesame seed, a little salt, some red pepper flakes for a kick and serve warm. Collard greens in a basket my Grandfather bought from the square in Canton, Mississippi nearly 30 years ago. Photo by Amy Campbell. 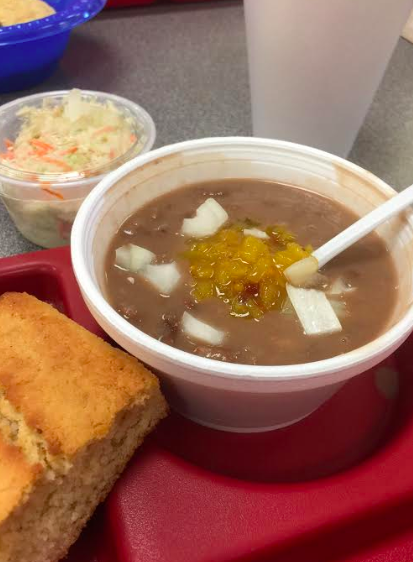 Why do we all eat Pinto Beans in Appalachia? 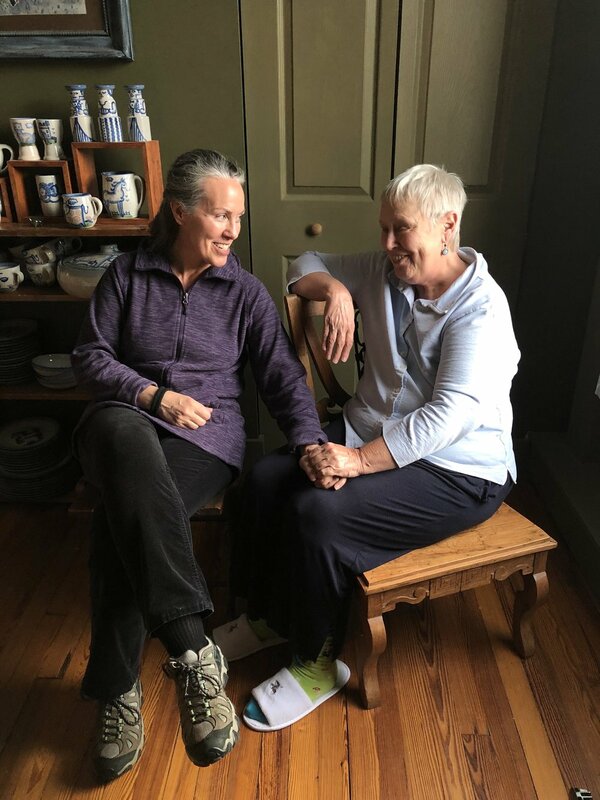 an Appalachian Culinary discussion with Ronni Lundy. Sheri is an award-winning professional food writer, cook, recipe developer, cooking teacher, public speaker and raconteur. Company Store - A company store is a retail store selling a limited range of food, clothing and daily necessities to employees of a company. It is typical of a company town in a remote area where virtually everyone is employed by one firm, such as a coal mine. James Beard Award winning Food Writer Ronni Lundy with her trusty Astro van. http://ronnilundy.com/ Photo Credit: I found this from a Flicker Photo stream from the summer of 2018, I am looking for the author. Please tell me if this is you, so I may credit you. In this season of giving, I wanted to feature the good work of Second Harvest East Tennessee with Executive Director Elaine Streno. 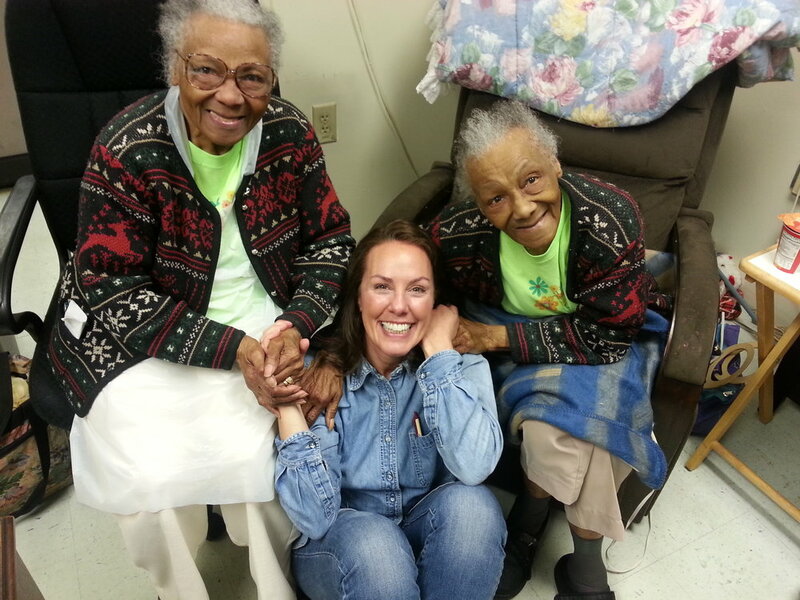 This organization serves 18 counties of East, Tennessee, and served 14.2 million meals this past year. 39% of those fed are children. Thank goodness for people who care enough about the suffering of other people to do something about it. Plus we have a story from Fred Sauceman from his pot luck radio series with Allan Benton describing how Allan makes his red eye gravy. 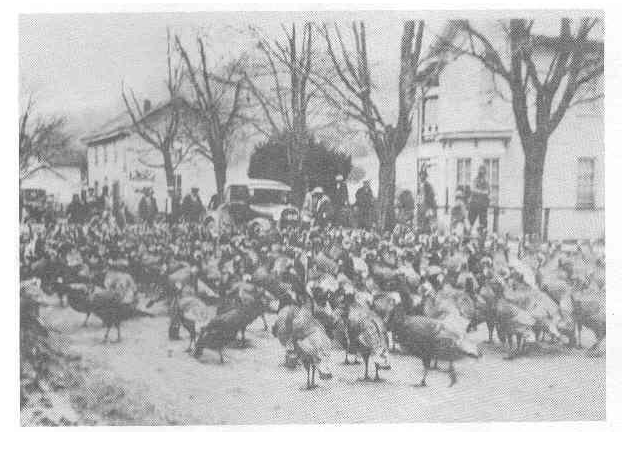 Image of an former annual “Turkey Herding” in Hancock County, Tennessee. 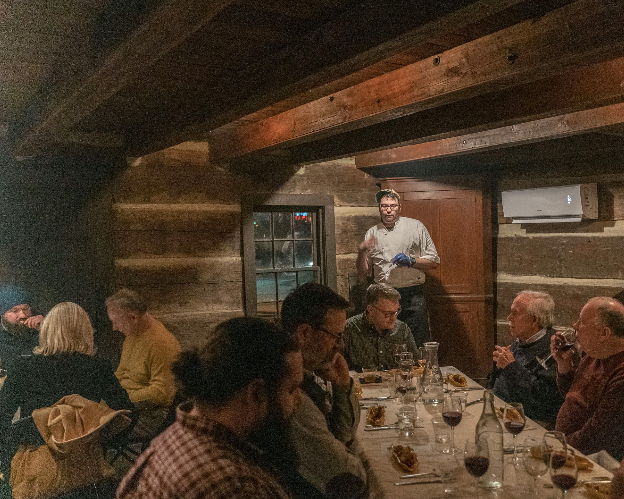 This is Fred Sauceman’s friend Dr. Mike Fleenor, an orthopedic surgeon who grows and makes sorghum and has a “sorghum boil” every year in Washington, County, VA.
- The feature of this episode is an old time Appalachian tradition, saving seeds, particularly bean seeds. Seed saver Ben Cohen has written a brand new book entitled “From our Seeds and their Keepers”, A Collection of Stories, with forward written by Seed Saver Bill Best or Berea, KY.
We hear a story of a bean that Ben has saved and returned to the Cades Cove Museum in Blount County, TN that was originally from Kermit Caughron - one of the last people to live in the Great Smoky Mountain National Park. - Fred Sauceman shares a segment on an assortment of Appalachian beans, terms of Appalachian bean preparations, and a short story of the “Noble Bean” that was saved by Seed Saver Bill Best of Berea, Kentucky. Soup Bean Recipe: Just keep scrolling, its down there at the end there. *I like to cook my beans in the morning the day before I need them. After they simmer until Noon, I let them cool all day, then refrigerate overnight. The next day the flavors will have seasoned and improved than if you eat them a few hours after cooking. *Optional: a ham bone, with some meat on it. I like to get them from the Honey Baked Ham Store. Clean the beans with cool water and a colander, pick out rocks, and broken beans. Fill a big pot with at least 3 quarts of water (2 inches of water should cover the beans), if any beans float, remove them and don’t use those. Soak overnight. Darin the next morning and rinse again. *If you don’t have all night to soak them, follow the “quick cook” method on the package. In olive oil on Medium heat, sauté onion, bay leaf, and spices until just browned. When onions and bottom of pot begin to brown, add garlic, then add broth. Add ham bone at this point. Let boil for a minute or 2. Right after the beans come to a boil, turn down the heat and simmer on low for at least 2 hours. I like to simmer them for at least 4 hours on low. *If you let beans boil like crazy on the stove top, they will get too soft and sort of fall apart. So, watch the pot and try to avoid that. I have learned the hard way. Feeds: 10 - 20 depending on serving size, and seconds. This recipe requires cooked Cushaw. Cushaw is not easy to peel, and a way to make this easier is to follow Jill Sauceman’s advice. She washed the Cushaw real well, pokes holes in it and roast the whole thing in the oven for about an hour until it is soft. She scoops out the flesh, removes the skin and seed and purees the cooked Cushaw in her food processor. She then freezes the pureed Cushaw until she is ready to use it for her pies. You can peel the Cushaw before cooking, but it is a job.